The All New, All Daring Delusional Honesty! : Heard About It, Didn't Believe It. "I...Vampire!" is BACK! Heard About It, Didn't Believe It. "I...Vampire!" is BACK! Okay, DC. You have me on board for yet another series. I heard rumors about this one months ago (won't say where, or from whom, but they were right on the f***ing money). I dismissed those rumors. Shame on me! 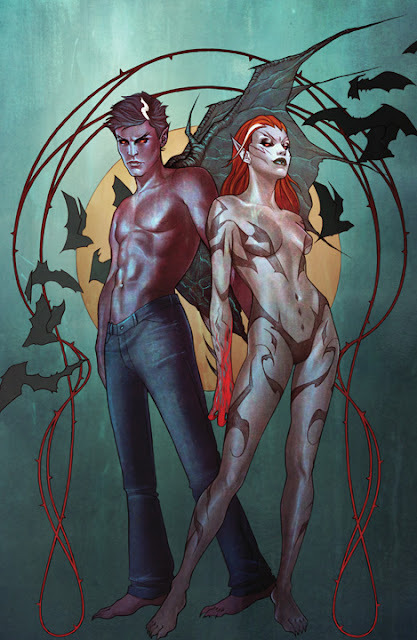 "Vampires threaten to bring ruin to the DC Universe in I, VAMPIRE #1 by rising star Josh Fialkov and artist Andrea Sorrentino. Tortured by his centuries-old love for the Queen of the Damnned, Andrew Bennett must save humanity from the violent uprising of his fellow vampires, even if it means exterminating his own kind."